Summer is drawing to a close and, as always, my ambitious summer reading plan is in tatters. The problem isn’t so much lack of disciple (I mean, any more than usual) as it is that great new books keep showing up every week. What’s the point of a meticulously organized plan when I end up behaving like a kid in a candy store every damn summer? Well, the good news is that great new books keep showing up every week. We’ll have to leave it to someone vastly more organized than I to catalog them. As usual, that task falls to John DeNardo. He’s surveyed the best books of August in his regular column at Kirkus Reviews. Here’s the highlights. 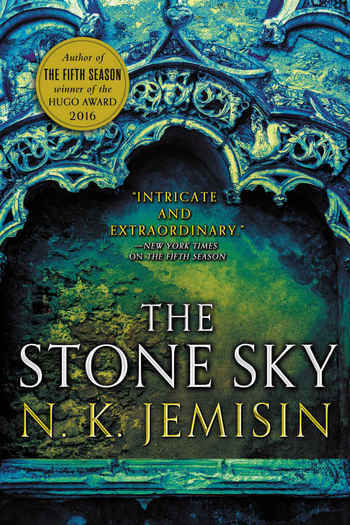 The is the conclusion to Jemisin’s award-winning Broken Earth series, which is about a tectonically volatile planet that can only be controlled by the despised and feared orogene people who have the ability to control energy. The fate of the planet’s single land mass, the supercontinent called the Stillness, may rest in the hands of two women: Essen and her estranged daughter Nassun. Essen is still searching for her daughter, hopeful that they can mend the world and make it safe for everyone. Nassun is more jaded and thinks that maybe some – especially not those that hold the orogene in contempt – are not worth saving. The Stone Sky was published by Orbit on August 15, 2017. It is 464 pages, priced at $16.99 in trade paperback and $11.99 for the digital edition. The cover is by Lauren Panepinto and Arcangel. Lostetter’s ambitious debut, told in a series of vignettes, is a sweeping epic of mankind’s journey beyond Earth’s solar system. In 2088, astrophysicist Reggie Straifer discovers an anomalous star that is either the first of its kind discovered in the universe, or entirely artificial. Either one warrants a mission to discover what’s going on, but the journey will take generations of crew to complete. The solution to maintaining the genetic talent of the original crew is to use cloning technology to keep populating the ships. At any given time, there are two clones of each crew member, where the older clone teaches the younger version. Thus, the journey is made as the eons pass, with a regenerated crew of clones to undertake the mission. But a clone is not a perfect copy. Across many generations, the society aboard the ships evolves, thus changing the state and chances of the mission. 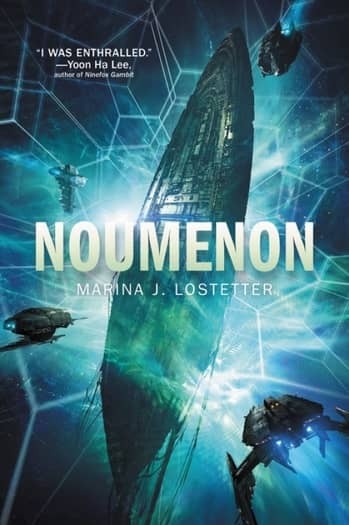 Noumenon was published by Harper Voyager on August 1, 2017. It is 432 pages, priced at $15.99 in trade paperback and $10.99 for the digital edition. 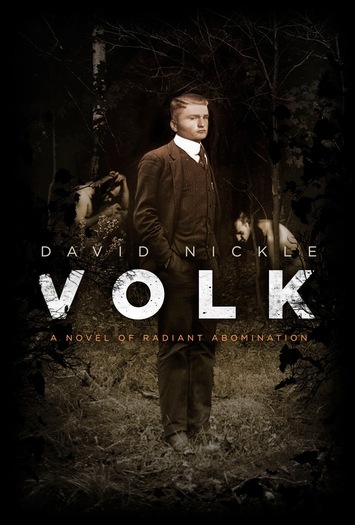 In the early twentieth century, in a remote valley in the Bavarian Alps, society is plagued by two things. First is the eugenics movement; people are seeking to perfect the human race through breeding and culls. Second is the Juke, a parasitic species that lives off the hopes, dreams and faith of humanity as it consumes them from within. Years later, Dr. Andrew Waggoner tries to unravel the mystery behind the Juke while Jason Thistledown becomes a veteran pilot of World War I about to embark on a new career carrying mail and passengers by plane in Africa. However, neither of them can escape the horrors of the past. Volk will be published by ChiZine Publications on September 19, 2017. It is 400 pages, priced at $17.99 in trade paperback. 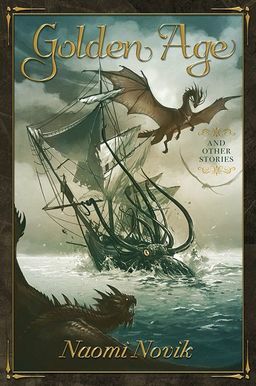 John doesn’t give a summary for Golden Age, an original collection set in the world of her popular nine-volume Temeraire series. Each tale has an accompanying piece of fan art. Here’s the book description. Golden Age and Other Stories will be published by Subterranean Press on August 31, 2017. It is 184 pages, priced at $25 in hardcover and $5.99 for the digital edition.